in performance: Mark Your Calendars for Andriessen 75! 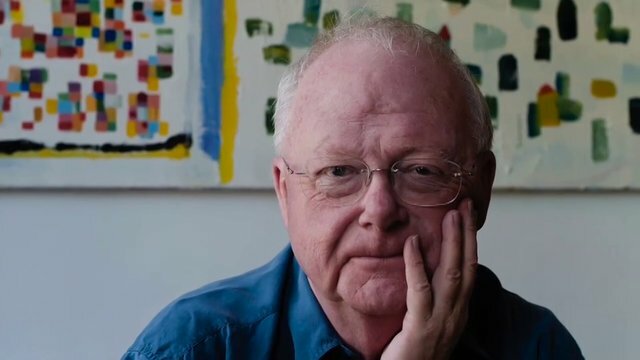 From April 6 to 13, Washington D.C. area audiences will get to hear a cross-section of Louis Andriessen’s most important recent work in a festival celebrating his upcoming 75th birthday. Developed and curated by Armando Bayolo, founder of Great Noise Ensemble and new music curator at the Atlas Performing Arts Center, Andriessen 75 features a host of premieres and defining works by the honored composer, alongside pieces and performances by some of his most noted collaborators, students and friends. Of greatest interest to the Sybaritic Faithful will likely be the concert performance of Andriessen’s 2008 work “La Commedia.” Based on Dante’s “Divine Comedy,” the composition is a treasure trove of vocal colors, musical references from jazz to chant to off-kilter Bernstein, and dramatic flair. This particular performance Sunday, April 6, 2014, 6:30 p.m. at the National Gallery of Art West Garden Court does not include the accompanying film by director Hal Hartley but it will feature one of the original performers, Cristina Zavalloni as Dante. “The journey is not clear-cut,” writes Mark Swed in his review for the LA Times, “but Dante — in the form of the extraordinarily versatile mezzo-soprano, jazz singer and new music specialist Cristina Zavalloni — descends into the horrible city of Dis and also enters a purgatory fashioned after Hieronymus Bosch’s “The Garden of Earthly Delights.” Zavalloni will be joined on stage by soprano Lindsey Kesselman as Beatrice and Andrew Sauvageau as Lucifer/Cacciaguida. The intrepid new music folks at Shenandoah Conservatory are also participating in this exciting festival offering two performances featuring the EDGE Ensemble, Aeolus Quartet, and Shenandoah Conservatory Wind Ensemble. Check out their schedule here. You will not want to miss the events at the Atlas Performing Arts Center either! Get tickets to any of the Atlas Performing Arts Center performances here. Monday, April 7, 2014, 8:00 p.m.
Wednesday, April 9, 2014, 8:00p.m. Friday, April 11, 2014, 8:00 p.m. In case you’re in the mood to get started right away. Here’s a playlist from Boosey & Hawkes to light your fire.